This private villa is available for small retreat groups that seek to have privacy, in an intimate venue. 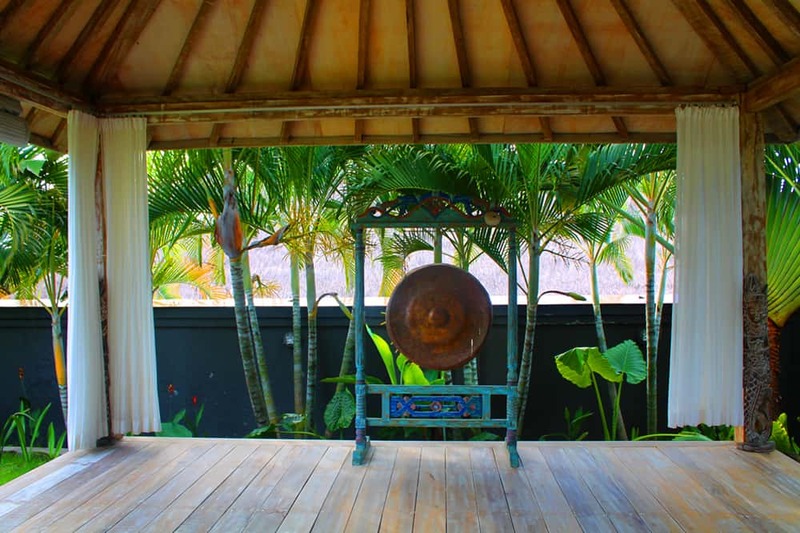 Located in Southern Bali, minutes away from all the trendy restaurants in Canggu and the beach where one can witness some of the gorgeous sunsets that Bali offers. 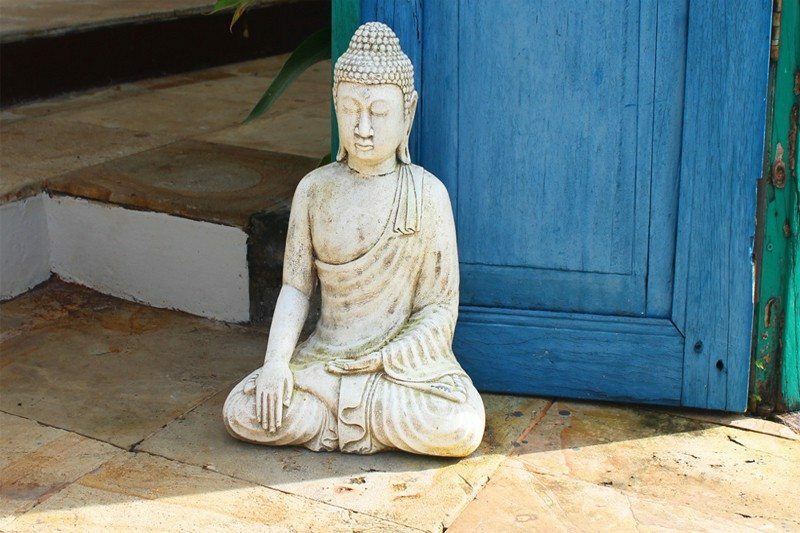 This venue is ideal for Tantric Retreats, Nutritional Trainings, or small Yoga Retreats where the facilitator desires a close connection with their participants in a private setting. This venue offers 5 rooms that surround a large swimming pool. One of these rooms offers twin beds, two of these rooms offer matrimonial beds, and one room offers triple beds. Each room has air-conditioning and comes with an en-suite bathroom. This villa has a large living room and dining area where participants can relax and enjoy the natural settings. A large TV and movies are provided for entertainment. There is a large kitchen that can be used for nutritional training’s. Or a private chef can be provided to prepare healthy meals including fresh juices, energy smoothies, recovery smoothies, and herbal teas and coffee. Vegetarian and detox menus are also available. The yoga shala on the property measures 12 m x 5 m and can accommodate up to 12 people comfortable with yoga mats. 12 yoga mats are provided. A massage table is available on the premises for body massages. For more options, please feel free to visit our Excursions & Activities page. If you wish to Host your Retreat in Bali at this venue, rates start at $115 USD per person / per day in double occupancy during low season.